The University of Texas MD Anderson Cancer Center in Houston, Texas, dedicated the new Sheikh Zayed Bin Sultan Al Nahyan Building for Personalized Cancer Care on April 9. The celebration included His Highness Sheikh Hamed Bin Zayed Al Nahyan, chairman of the Crown Prince Court of Abu Dhabi in the United Arab Emirates (UAE), and His Excellency Mohamed Haji Al Khoori, director general of the Khalifa Bin Zayed Al Nahyan Foundation. Construction of the new building was made possible by a grant from the Khalifa Foundation, and it was named after the late founder of the UAE. MD Anderson at Houston, created by an act of the Texas Legislature in 1941, is the largest freestanding cancer center in the world and one of 41 comprehensive cancer centers so-designated by the U.S. National Cancer Institute. MD Anderson is one of the original three U.S. comprehensive cancer centers established by the National Cancer Act of 1971. Functioning as both a degree-granting academic institution and a cancer treatment and research hospital, MD Anderson is part of the Texas Medical Center in Houston, and one of a very few hospitals in the United States affiliated with two major research-based medical schools: The University of Texas Medical School at Houston — part of the massive University of Texas Health Science Center, and Baylor College of Medicine. Active in 35 countries outside the United Arab Emirates, the Khalifa Foundation’s vision is “Pioneering Initiatives for Welfare,” with strategies focused on supporting vocational educational projects and education in countries of the Gulf and Middle East regions, and addressing health needs related to malnutrition, child protection and care, and the provision of safe water on domestic, regional, and global levels. In 2011, the Khalifa Foundation gave MD Anderson $150 million — the largest gift to date in the institution’s history — to accelerate the pace of personalized cancer therapies and pancreatic cancer research. MD Anderson matched $100 million used from these funds to enable construction of the 12-floor, 628,652-square-foot Zayed Building for Personalized Cancer Care, now in the second phase of construction. It is designed to integrate delivery of basic and clinical research in personalized cancer care and in pancreatic cancer — one of the deadliest forms of the disease. The Zayed Building houses the Sheikh Khalifa Bin Zayed Al Nahyan Institute for Personalized Cancer Therapy and the Sheikh Ahmed Bin Zayed Al Nahyan Center for Pancreatic Cancer Research, and is equipped with molecular diagnostics, histocompatibility, and molecular pathology research laboratories. 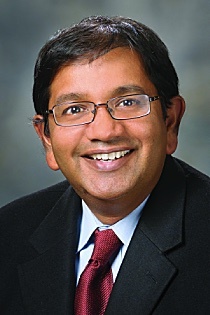 The Khalifa Foundation grant also funds three distinguished university chairs, along with a Faculty Scholar program for the purpose of advancing discovery and delivery of effective personalized cancer treatments, offering one to two years’ salary to support MD Anderson faculty-level independent research projects by physician-investigators. The Khalifa Institute for Personalized Cancer Therapy at MD Anderson is a personalized program designed to tailor cancer care to the particular needs of individual patients, with treatments precisely targeting the genetic and molecular abnormalities in their tumor. The institute’s research produces knowledge that can be used by other MD Anderson departments and by pharmaceutical companies to aid in the development of newly targeted drugs and antibodies in order to provide customized, more effective treatments for future patients. Rapidly implementing expanded molecular pathology laboratories, technology, instrumentation, and infrastructure for personalized clinical trials. Developing best practices for obtaining and managing patient biopsies and specimens to implement personalized cancer therapy. Positioning MD Anderson to lead the way in therapeutic clinical trials based on underlying genomic and molecular alterations in patients’ cancers. Establishing broad collaborations to enhance the ability to rapidly transform discoveries into clinical practice and standard of care. The dedication program also included remarks by Robert Wolff, M.D., MD Anderson’s interim chair of general oncology, who currently holds the Sheikh Zayed Bin Sultan Al Nahyan Distinguished University Chair in Medical Oncology; John Mendelsohn, M.D., immediate past president of MD Anderson and director of the Khalifa Institute for Personalized Cancer Therapy; William McRaven, chancellor of The University of Texas System; Alex Cranberg, regent of The UT System; and Mohamed Haji Al Khoori, director general of the Khalifa Foundation. Also recognized at the dedication celebration were Gordon Mills, M.D., Ph.D., chair of Systems Biology and co-director of the Khalifa Institute; Anirban Maitra, MBBS, director of the Ahmed Center for Pancreatic Cancer Research and Sheikh Khalifa Bin Zayed Al Nahyan Distinguished Chair in Cancer Research; Patrick Hwu, M.D., division head of Cancer Medicine Administration and Sheikh Mohamed Bin Zayed Al Nahyan Distinguished University Chair in Cancer Research; and the UAE’s ambassador to the United States, H.E. Yousef Al Otaiba. The first phase of construction of The Zayed Building is now completed, and includes core and shell space, and about 218,300 square-foot interior build-out housing laboratories, laboratory support, offices, conference and collaboration areas, and building support services. Occupancy began early in 2015. Two research laboratory wings are connected via an exterior public corridor that helps maximize laboratory flexibility to accommodate new and evolving technologies. The laboratory wings are joined to two adjacent office wings through a central common collaboration space. The state-of-the-art facility provides the resources necessary to advance the field of personalized cancer care and make a meaningful difference for cancer patients everywhere, said Mills, co-director of the Khalifa Institute. The Zayed Building is also home to the Ahmed Center for Pancreatic Cancer Research, a facility dedicated to accelerating the process of scientific discovery in developing treatments for pancreatic cancer. This cancer is on the rise, but it’s a type of cancer that remains significantly underfunded compared to other malignancies. The Ahmed Center intends to foster a culture of collaboration of effort and exchange of ideas among investigators with a shared research focus. Understanding mutations in pancreatic cancer using cell line and newly developed preclinical models. Developing a liquid biopsy platform for early detection and therapeutic stratification of pancreatic cancer. Evaluating novel therapies using biologically relevant preclinical models. Ground was broken for the new building in November 2011, with occupancy commencing in early 2015. Eventually the building, which is on about five acres and is one of MD Anderson’s largest facilities devoted solely to research, will accommodate more than 2,000 researchers and support staff.